There’s something a little different about the newest member of Carolyn’s classroom. Sure, he isn’t too crash-hot with his times tables, and he doesn’t create the best macaroni art, but he’s still getting plenty of gold stars. His name is Asha and, much to the delight of Carolyn’s students, he’s a gorgeous, Labrador that their teacher has adopted. Even better still, it seems he has passed the rigorous interview process to become Carolyn’s full-time Teacher’s Aide. 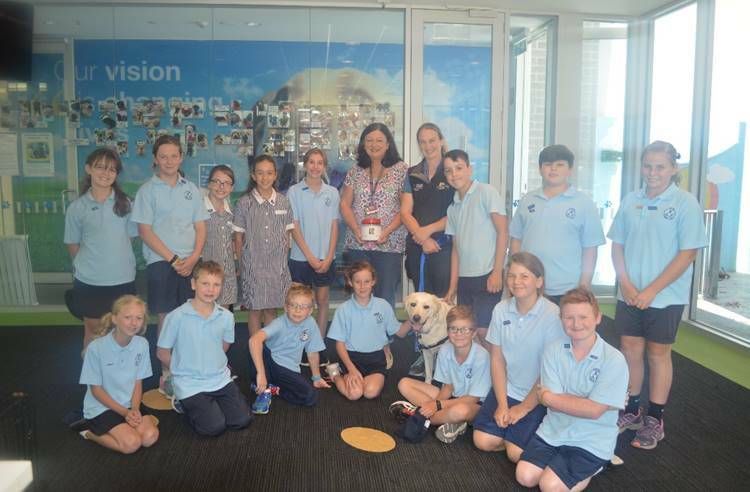 The thought of having a dog in the classroom might seem distracting to some, but Asha is very disciplined thanks to the expert training he received during his training to become a Seeing Eye Dog. The reality is that not every dog who starts this highly specialised training will graduate. Standards for becoming a successful Seeing Eye Dog are very high, due to their essential role in guiding people with low vision and blindness, therefore not all of our dogs will graduate. Only the best-of-the-best will go on to become a Seeing Eye Dog, but well-trained pups like Asha can still go on to make a big difference! 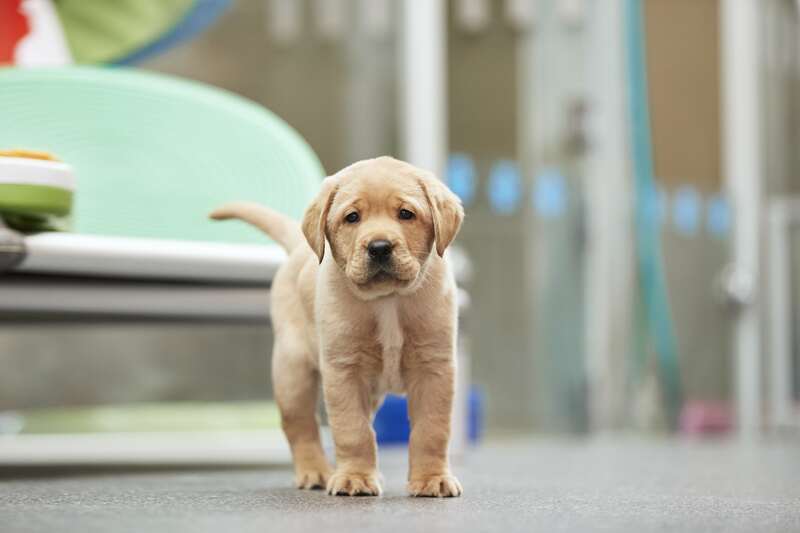 Will you help support the specialised care and training needed to become a Seeing Eye Dog? “He helps people when they’re sad. He cheers them up by being himself… He’s always there to turn your frown upside down,” said one student. “He makes me look forward to coming to school, so I can see him… If I see Asha in the morning I can work better because I feel happy,” added another, unable to wipe the ear to ear grin off their face. Asha is a shining example of how dogs who don’t meet the high standard to become a Seeing Eye Dog can go on to enrich lives. He’s found a great purpose in helping these students… and the teachers! Asha is the top dog in Carolyn’s class! To support the care and training of our puppies and make a life-changing difference, please Donate here.